With a huge fan following of even celebrities far and wide for this humble oddly shaped sweet delicacy using the simplest of ingredients using only milk and sugar with a hint of cardamom powder coated with sugar powder, any one who is not aware of this sweet might wonder what the hue and cry is all about! Only a true Dharwadian will tell you it is the only sweet they have grown up eating for any occasion from celebration of the school results to any festivity in the family, a good give away gifts to friends and family out of Dharwad.. The original creators of this sweet delicacy , the Thakurs of U.P who settled in Dharwad after migrating from U.P . 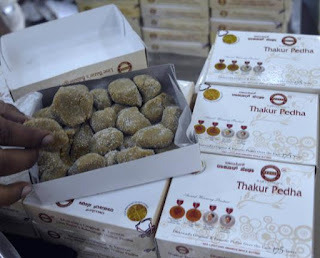 discovered this in their kitchen, and now the generations of Thakurs called Babusingh Thakur continues the making of this amazing peda and exporting by tonnes and on line sales too . Situated in a lazy little stretch of a lane called Line Bazaar which is synonymous with Babusingh Thakur pedha, the shop has an unassuming facade and very deceptive , one wonders is this the world famous Dharwad peda shop as it is called . Another big name Mishra equally vying for the name and fame but a few notches lower we are told has also extremely good tasty pedhas but there is a secret method to the making of the Babusingh peda which has that distinct, flavor and difference..I have tasted both and personally to me both were awesome . Well now that we are out of Dharwad the heart aches and craves for this peda every festival and so I had to try it myself in the kitchen and realised I could come closer to making the same peda . I am extremely delighted with the attempt though long hours and continuous stirring of the mixture in the heat of Chennai made me weary, but it was worth every single grainy moist sweet goodness that is the Dharwad peda..
.The looks of the peda may be deceptive as it is not presentable with its odd shape , as am told that after it is rolled into pedas, it is flung into a container of powdered sugar from a distance, The peda makers were not bothered about the shape!..My feeling is that with all the stirring for long hours in a very hot old kitchen they couldn't be bothered about the shapes etc, so they simply made a rough ball of the finished mixture, flung it in the bin that had the powdered sugar and that gave the uneven shape ! !..Oddly this is what makes it even more tempting and home makers actually attempt the same to get the shape! I also made a small ball of the mixture, threw in on the plate and rolled into sugar to get that look. Sound funny but I guess that s how they did it. The Line Bazaar janta are used to visitors searching for the Line Bazaar pedha shop as it is known , and they will help you find the unassuming shop in a small corner .They will even proudly take you there personally. Peda boxes are piled high marked “Dharwad’s Original And Famous Line Bazar’s Babusingh Thakur Pedha”. The store is managed by the descendants of Ram Ratan Singh Thakur, who migrated to Dharwad from Uttar Pradesh in the 19 century. It was grandson Babusingh Thakur who made this peda famous in Dharwad by producing small quantities of the sweet; There was a time when people would stand in queue s to buy as it was freshly available only from morning till noon and it would get exhausted early. Today, managed by the sixth generation of the family, between 100-150 kg are made and sold daily.both on line sales and exported too. I found the method of making this from Kannada cuisine.com. I have made few changes to the method . Dont be intimidated by the process, at the end I have also suggested a short quick version. 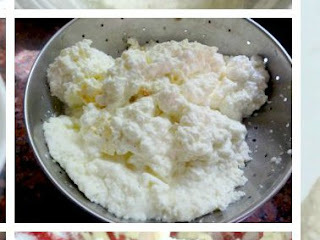 1 cup home made crumbled paneer or ricotta ( use fresh thick milk ), may need around 1.5 litre milk to make the paneer. 3-4 tbsp coarsely powdered sugar for coating the pedas. First make the paneer by boiling milk. Boil milk in a vessel, as it comes up boiling , slowly add the lime juice while stirring the milk gently with one hand. You will see that milk begins to curdle..wait for few minutes and add more lime juice only if you see there are some milky liquid left...the curdling process will leave all the thick fat and water separate..
when all the watery liquid is removed, drain in a sieve. After an hour, remove the thick collected fat from the tea sieve, now use a fine cheesecloth or any good clean thin white fabric to tie the paneer and to get a firmer cheese. Make a bundle, wring it as much as you can to remove water .This soft crumbled paneer is good enough to make our peda. The texture of the paneer should be such that it can be crumbled smoothly. Now take a wide hard based bottom non stick pan. Add some ghee, add the crumbled paneer , keep the flame on low. Start stirring the mixture and if it appears to be drying or sticking tot he base add some tbsp of milk. Then add the condensed milk , cardamom powder and now the stirring has to continue for a while till the milk , paneer mixture starts thickening. Use the spatula to keep smoothing the paneer crumbles and mix well. After the mixture is almost dry, take off from flame and keep aside to cool. At this stage it will appear like our south Indian therati paal. But we have more work left to make the end product. After the mixture has cooled down, blend it in the mixie to get a smooth mixture.almost like paste. Remove the mixture from the jar and again take the pan in which we cooked this mixture earlier, add some more ghee and this blended paste , start stirring , at this stage you need to be very careful not to burn as the mixture tends to stick to the bottom. Add few more drops of milk to slightly loosen the peda dough. The reason we are doing this stirring again after blending is to cook it further to get the rich dark colour of the peda. Again after a while you will see the whole mixture coming together to a ball, separate it by spreading the mixture all over the pan with the spatula to get a more finer grainy texture and to roast the mixture well . Add remaining ghee if any left over and keep stirring briskly. Finally the ball of peda mixture will form one ball, which if separated with a spatula will show lots of grainy texture, that is the consistency we want. Take it off and let the mixture cool down, at this stage, taste a bit to see if it is chewy or sticky, otherwise keep it on the gas on a low flame to cook more very carefully. Notice the mixture is not sticky at all and you can form balls easily. Pinch off small peda dough and make small uneven shape balls and roll in the coarsely powdered sugar. When you bite into it , it taste caramelly, moist and not too intensely sweet.The grainy feel makes it melt in the moth. Keep aside and store in an airtight container. Enjoy Dharwad peda from your kitchen if you cannot get hold of the authentic one. Finally I feel I have attained moksha! After the first stirring , the mixture will appear smooth soft but not yet ready for peda making .Though it is so difficult not to eat it at this stage.! It is so delicious. After blending the thick mixture in the mixie, adding few drops of milk, it appears creamy thick as in the pic below. Stirring away till the arm hurts!!. Finally the mixture again thickening and darkening as well. A heavenly aroma wafting too. See how the mixture comes together to a ball in the pan. Almost drying out. and darkening more. Spread out the mixture with the spatula in the pan. Finally the peda mixture all ready to be rolled, non sticky and absolutely the right sandy texture. A small cup of coarsely powdered sugar ready for smearing the pedas . All done in un even shapes!! 1. 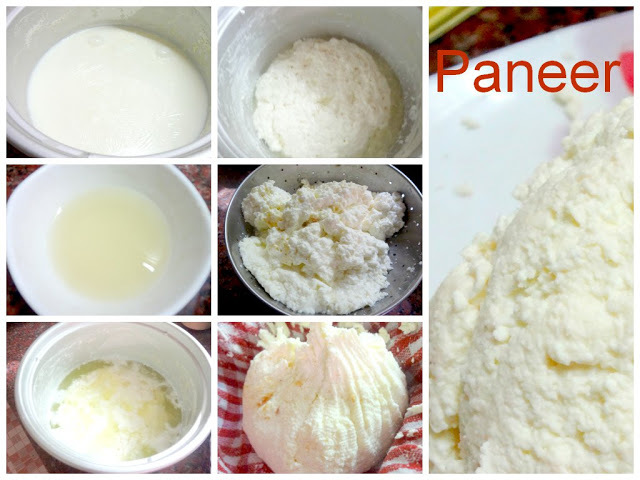 Instead of home made paneer as it may take time, use fresh soft paneer /ricotta from store and proceed, cuts time . 2. Instead of using paneer itself and then stirring the mixture to make khova first ( as that is what we are really doing , cooking paneer in milk and sugar and the drying out to get the khoa) use store brand ready made sweet khoa and your work is reduced greatly especially the hand stirring and nearly one hour is saved! If you are using Khoa then take around 3/4 cup sugar ( powdered ) , mix with the khoa and roast in 3-4 tbsp ghee and keep stirring, add 3-4 tbsp milk if required if the mixture starts thickening and drying too quickly, we need to keep frying the mixture till dark. The peda mixture should be smooth but and non sticky and you must be able to make the pedha balls out of it. 3. As I had no khoa on hand and also as the hour was late , I couldn't go out to buy it so started from scratch..the idea of making peda struck me late in the night!. Of course the inventors of this sweet did everything from scratch.